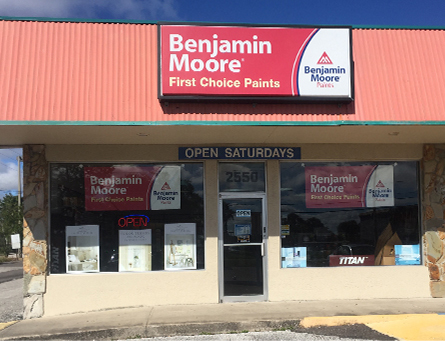 Sunday: 9:00 a.m – 1:00 p.m.
Before you get started on your next interior or exterior paint job, come by our paint store in Clearwater, FL. First Choice Paints is your source for superior painting products and advice from experienced professionals. Find your inspiration by browsing our inventory of paints from today's top manufacturers. For over 18 years, we've been involved in the painting business. From running retail to applying paint to walls, we've gained much experience in all areas of the industry. We're ready to offer you our advice on your next project and pair you with the perfect paints and supplies. Whether you're a contractor looking for the best deal for your customers or a DIY homeowner updating your interior design, we're the paint supply store for you. Over the years, we've built a solid reputation on our sound advice, honest opinions, and competitive pricing. We're confident that when you shop with us, you're setting your project on track for success. Painting your home or business isn't a task you can do in a rush. Choosing the color, paint quantity, and accessories are all just as important as taking your time to do the job right. Since this is the case, making the best decision can sometimes be hard. At our interior paint store, though, we want to make things easy on you and we will give you advice on which colors work best. We'll make sure you're getting exactly the color and quantity you need to complete your project. We even offer free, no-obligation, estimates. Our commitment to customer service is based on more than a passion for high-quality paint jobs. At our interior and exterior paint store, we are just as proud as you are to be part of this community. Making sure you have the paint you want is our way of helping local properties stay in top shape. We're excited to have this opportunity to grow our small business in this area, and that's why we stay active in the local community. 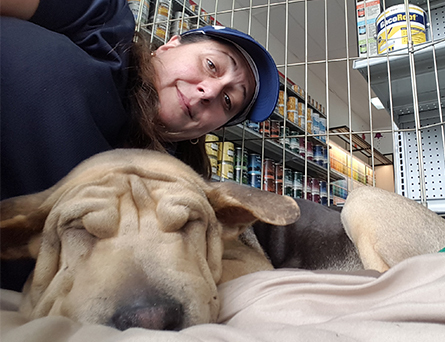 We enjoy volunteering and participating in local organizations such as Suncoast Animal League and by supporting local sports youth and art centers. We sponsor teams for Safety Harbor Basketball and Safety Harbor Little leage and we donate paint at cost to the Safety Harbor Art Center. We approach our business the same way we approach living in this community: with enthusiasm and gratitude. We love being able to connect with the community and also support our local artists! Every few months we will be featuring new artists from the Tampa Bay area. Stop by the store to see some of their beautiful work! Contact us if you're planning a home painting project. We are proud to serve customers in Clearwater, Dunedin, Palm Harbor, Largo, Safety Harbor, Oldsmar and all other parts of Pinellas, Hillsborough, and Pasco Counties, Florida. Monday - Friday, 7:30 a.m. - 7:00 p.m.